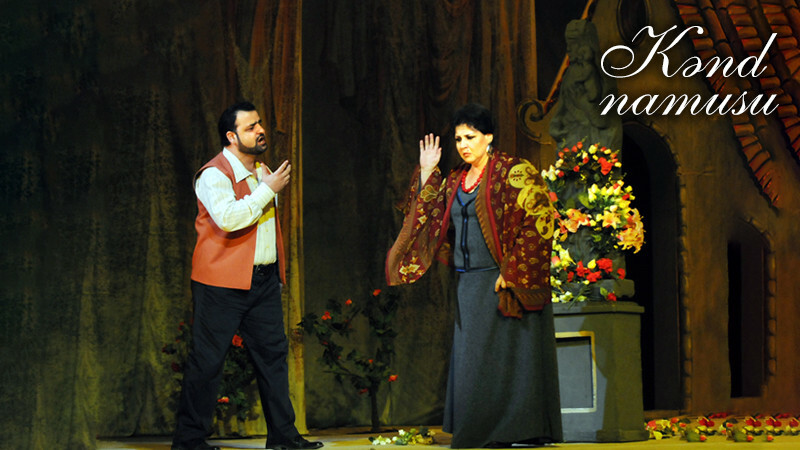 Cavalleria rusticana in Azerbaijan State Academic Opera and Ballet Theatre buy tickets online. Delivery of tickets for the event Cavalleria rusticana. Sunrise. Peasants walk to the church via village square. Santuzza is rushing towards old Lucia-fiancé’s mother. She is in desperation. Turiddu is seized by passion towards his former girlfriend Lola who married wealthy Alfio during his short army service. Lucia’s all efforts to calm Santuzza are in vain. She’s tormented by jealousy. Turiddu appears at the square. Santuzza begs him not to leave her. But Turiddu is not touched by her words. He pushes her away and follows Lola making her way to the church. Alfio returns to the village not aware of happening. Distraught Santuzza tells him about his wife’s unfaithfulness. Soon she regrets telling him but it’s too late. Offended Alfio decides to severely punish the offended that tarnished the honor of his family. Villagers gather at the tavern after church service. Celebration disturbed by Alfio’s appearance. He scornfully pushes away the cup of wine offered by Turiddu. Turiddu is no doubt that he found out about his affair with Lola. Deadly fight with a rival is inevitable. As an old tradition Turiddu bites Alfio’s right ear as he gives him a hug. Choice’s made and they will meet in the countryside. Turiddu says good byes to his mother. He’s belatedly repentant before faithful Santuzza. He asks his mother to take care of her. Turiddu leaves filled with dark forebodings. Lucia and Santuzza call for each other in fear. The voices of peasant women let everyone now about Turiddu’s death. Lucia and Santuzza faint.